Muayad Ahmed - Interview Muayad Ahmed with Hawpishti About his abduction along with 3 of his comrades. Interview Muayad Ahmed with Hawpishti About his abduction along with 3 of his comrades. On 25th February 2011, four of the leaders & activists of Suleimany�s protests were abducted. In order to shed light on this event, we at Hawpshti Broadcasting company, have interviewed Muayad Ahmed, one of the abductees. Hawpshti: on the evening of 25th Febuary, you along with Nawzad Baban, Shakhawan Nasih & Khalid Majeed were abducted. Over 24 hours later, you were released. Could you give us a short account of this incident? Muayad Ahmed: Yes, like you said on the evening of 25th February the four of us were in a taxi after leavinag the protest, when we were suddenly stopped by an unknown force. We did not know who they were. They attacked us in a very uncivilized manner, in fact in a very brutal & aggressive way. We were blind-folded & driven somewhere, I do not know where. We were driven for about half an hour, first to one place, then to another place where we stayed. We were treated in ways I can only liken to those of the Ba�ath fascists. We were separated from each other, each in an individual room until we were released at around 11pm tonight. Of course Nawzad is still being held. Only 3 of us have been freed, when we were promised that all four would be released. As we were being freed, we were blind folded & were made to believe that we would all be released. However when were finally out, we realized that Nawzad was not with us. This was another example of their brutal despotic treatment of us. Hawpshti: were you all together or separate while detained? Muayad Ahmed: Until we arrived to that place we were able to hear each other but were not allowed to talk to each other. Then we were put in dark solitary rooms. It reminded me of what was happening in the eighties under the previous regime. Hawpshi: What was their motive in detaining you? Muayad Ahmed: It is clear that they are trying to silence the protesters. They want to suppress the movement�s activists & those who are representing & expressing peoples concerns & demands, one of whom is Nawzad. Hawpshti: Tell us about Nawzad? 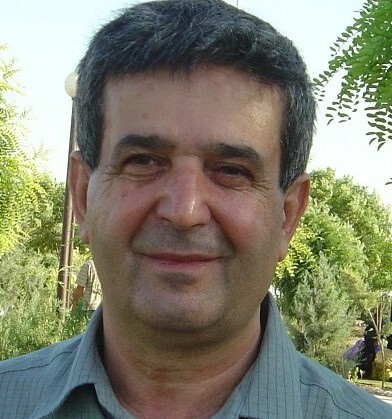 Muayad Ahmed: Nawzad is hugely loved by the protesters. I saw him being carried on people�s shoulders, all chanting slogans of admiration, on the very day that we were arrested. Hawpshti: Those videos are on the websites, on face book & on you tube. Muayad Ahmed: Very good. In my view this was an organized plan- it was a kidnapping plot by a special security apparatus. In doing this they were trying to hush the protests. Hawpshti: Do you think they can put an end to the protests using these measures? Muayad Ahmed: I do not think so. People are on the streets raising certain demands & they expect to gain something from these demands. The sort of repression that the authorities are exercising is only going to worsen people�s rage & anger. People have legitimate& valued demands that the authorities need to respond to. Instead, they are reacting with brutality, aggression, secrecy & gangster like actions. No one can be fooled by this. They are achieving nothing- they are just increasing people�s fury. The demands are clear. Under the rule of these parties, society in Kurdistan has been at a standstill for years. We are now witnessing people demanding radical change: not just reform within the same system. They want a change that brings about their just demands. They demand freedom, the end to party rule & party militias. The authorities talk about violence amongst the people, but by using such repressive measures, they are the real perpetrators of violence. Nawzad Baban, who is well respected by the protesters & as I said was being held on peoples� shoulders, is being held captive. This shows that they are not listening to people�s demands. Hawpshti: Do you think the protests will continue? Because the authorities have been spreading propaganda that the 26th would be the last day of protest but clearly it isn�t. Muayad Ahmed: what I am seeing is that there is a great deal of public rage & discontent. Through these demonstrations, people have made huge achievements and they have managed to secure a certain degree of freedom. However, the ruling parties are even trying to retract this little freedom. The protesters have made huge leaps in their struggle for freedom & liberation. Anyone who cares about the plight of Kurdistan, who cares about freedom, about abolishing the rule of parties & party militias & their armed apparatus, in my view they will not back down in the slightest & will protect these gains with their lives. People feel very strongly about this. Of course this needs a lot of work, It needs good leadership & good co-ordination. But what is important is that these are all legitimate & just social & political demands that have a social base. The opposite side wants to suppress these demands & people feel very passionate about it & want to turn into to a sacred victory. Hawpshti What is your final word? Muayad Ahmed: First of all, the authorities must listen to peoples� demands & their will. People are not on the streets to pass time, it is not a hobby. They have genuine demands & issues affecting their daily lives. People want freedom, prosperity, they want an end to poverty in a society full of resources, they are rising against inequality, against corruption that you see all around you. People detest corruption. These are essential issues. The authorities have no alternative but to comply with these demands & there is no way for the people but to move forward & not back down. We have all seen what happened in Egypt & elsewhere. People in Kurdistan, workers & toilers & freedom lovers & any one who has the slightest interest in prosperity & a better life have an opportunity to seize in order to play a vital role & I wish that they succeed.